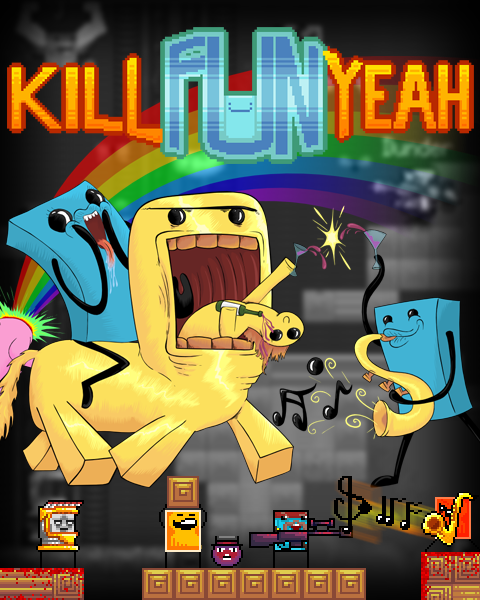 Kill Fun Yeah is an online 2D platform shooter. Murder and capture your way to the top, using an ever increasing arsenal of silly weaponry and items, the powers of deflect, attract and freeze, as well as various powerups. Make your own maps, using custom made tilesets and background sprites and create your own custom player skin to make you stand out on the battlefield. The game is free to try for 3 hours with a few limitations, which, along with the time limit, are removed upon purchasing the full version. Added ability to spectate matches (accessible from the scoreboard). Added visual indicator for when a player is typing. Changed reload speed and stun duration for Zapper. Changed so that deflect explosions do no damage but have increased force and radius. Changed x-position for where billy rockets spawn. Fixed full screen effects that were problematic on some GPUs. Fixed a problem related to blood pixels making tiles flicker with OSX + Intel GPU. Fixed a minor particle system memory leak. Fixed a bug that would make it impossible to play certain music tracks at below 20% volume. Kill Fun Yeah Beta 0.39 has been released. Various fixes and tweaks. Kill Fun Yeah Beta 0.38 has been released. New game mechanic, hats, emotes, friend system and more! Kill Fun Yeah Alpha 0.37 has been released. More hats and powerups! 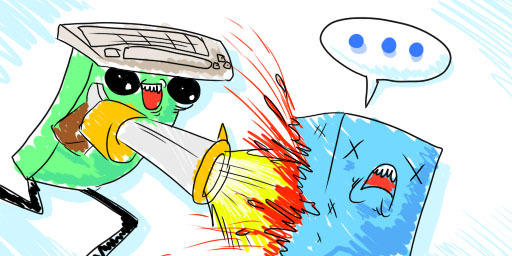 Kill Fun Yeah Alpha 0.36 has been released. Hats! Why doesnt it run smooth for me? it laggs like crazy and not because of internet, its just the game, even in the main menu. My PC isnt the cause either, I play games like Far Cry 3 on ultra but not KFY? edit: oh it just laggs that much when i move my mouse.......wtf? No one play the demo, are the play all the fullversion? Have you planned to add bots? First, i downloaded the Demo version, then i bought it, and i can't switch skin, why? If you dont trust me try thee free version for yourself I only can say you MUST have this. I'm 27 and I've never had a favorite musician but gosh darn.. Now it's Billy Eilish.